Comments: The first of the "Essential" series, released in 1986. Includes colourful 8-page insert and plenty of previously unreleased material. 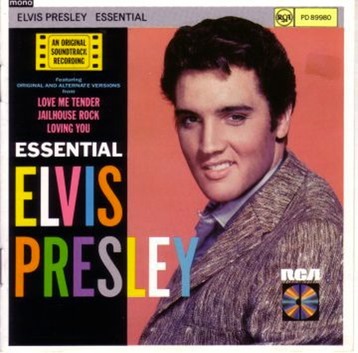 27 tracks are: Love Me Tender; Let Me; Poor Boy; We're Gonna Move; Loving You; Party; Hot Dog; Teddy Bear; Loving You; Mean Woman Blues; Got a Lot o' Livin' To Do; Loving You; Party; Lonesome Cowboy; Jailhouse Rock; Treat Me Nice; Young And Beautiful; Don't Leave Me Now; I Want To Be Free; Baby I Don't Care; Jailhouse Rock; Got a Lot o' Livin' To Do; Loving You; Mean Woman Blues; Loving You; Treat Me Nice; Love Me Tender.